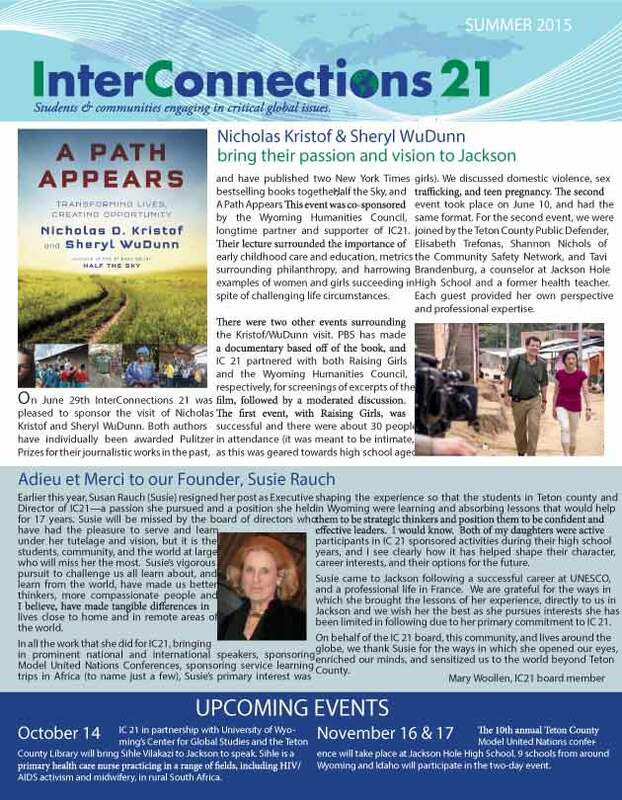 Nicholas Kristof & Sheryl WuDunn bring their passion and vision to Jackson, Upcoming events, Old Bill’s Fun Run and more! Copyright © 2013-2018 InterConnections 21. All Rights reserved.